This game is aimed at children around 4 to 6 years old, in the Foundation Phase and uses the fun and excitement of competition and winning to help them learn to recognise and read numbers. Numbers, just like letters, are a code that we write. It takes lots of repetition to learn to read this code and then become so familiar with it that we can manipulate it and play with the numbers we read in sums and maths. Writing a mathematical equation, is writing a code or recipe. If our children learn to read numbers early and in a relaxed, fun way, they will feel comfortable with numbers and will avoid the apprehension that so many people have when faced with reading mathematics or reading arithmetic. concept of sequencing, of more and of less. I will post other ideas for games on later blogs. 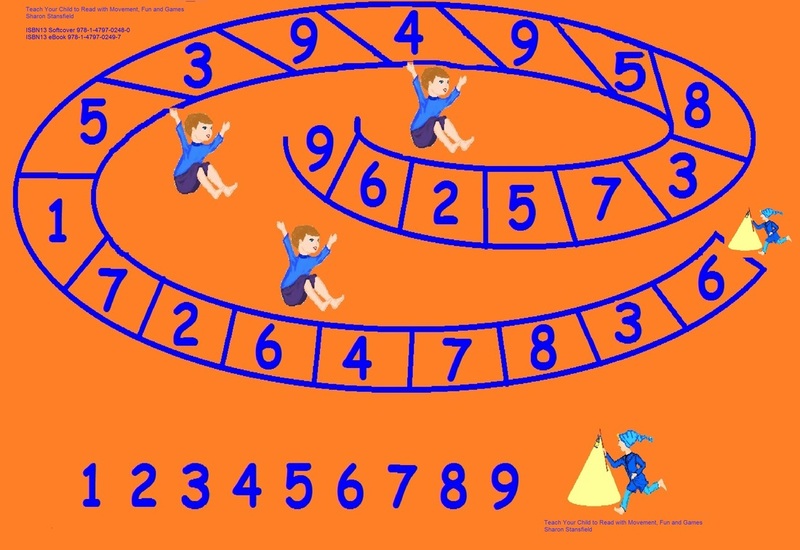 In the meantime, read and play this easy game to help your little one begin the journey of finding numbers fun. start of the game and takes a turn to cast the die. with a number written in it. these are in numerical order. you make a mistake; and of-course you sometimes will! mathematics as a happy, motivated winner! Click here to see details of a book filled with games for teaching your child to read!